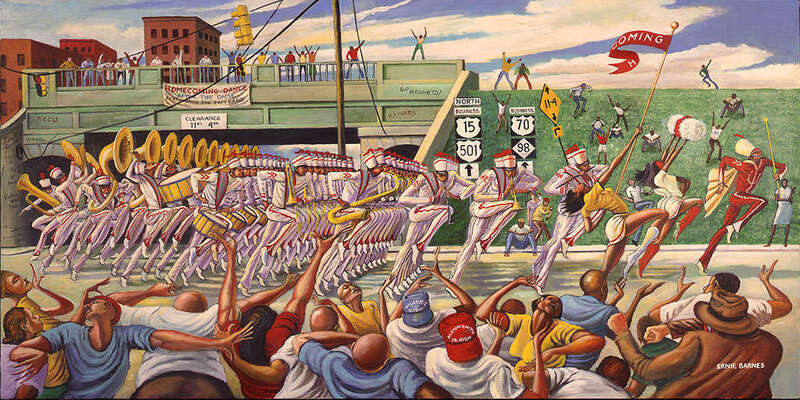 Ernie Barnes was born and raised in Durham, North Carolina. 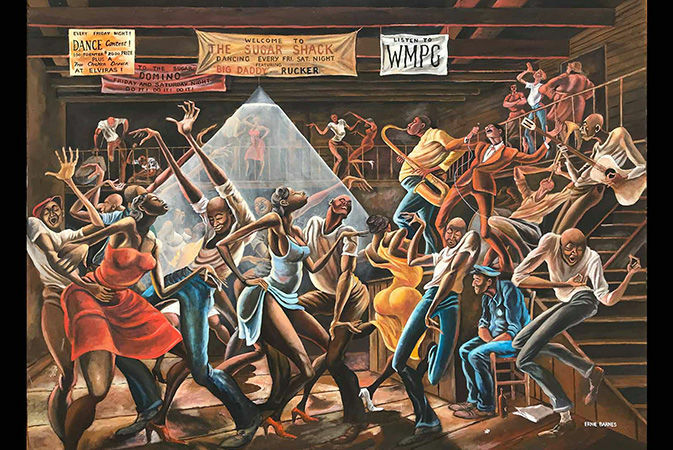 Widely-known as the real painter behind the character J.J. Evans' artwork in the groundbreaking African-American sitcom Good Times, Ernie Barnes’ unique style of painting made him one of the premier figurative artists of the late 20th and early 21st centuries. His style of elongation, energy and movement, which has been widely imitated, is best exemplified by his celebrated Sugar Shack dance scene that appeared on Marvin Gaye's I Want You album cover and in the closing credits of Good Times. A former NFL player, affectionately nicknamed “Big Rembrandt” by his teammates, he is the first professional American athlete to become a noted painter. In his prolific body of work, Barnes chronicled his personal experiences with football, music, dance, love, sports, education, church, and the South. Copyright @ Ernie Barnes Family Trust.